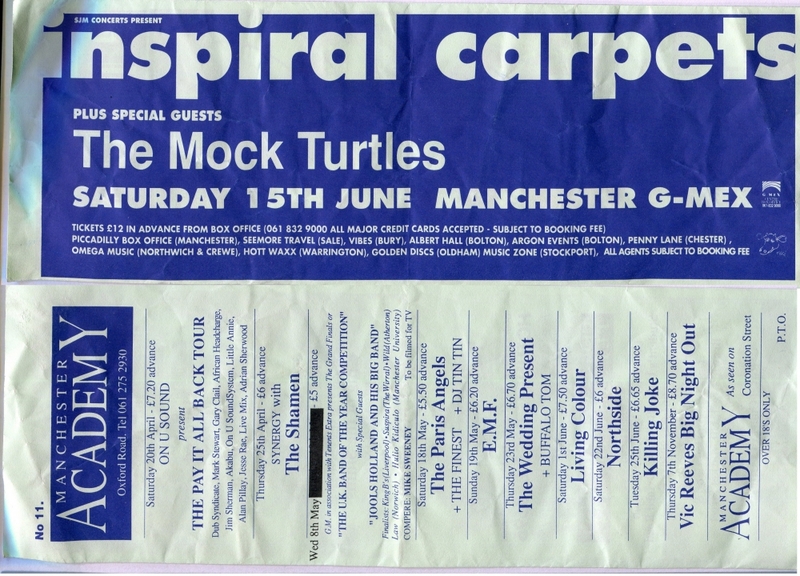 Flyer for Inspiral Carpets concert at G-Mex. Plus Academy gig listing on other side. I was at this gig, it was however in 1991 not 1990. The 1990 gig at G mex was on the 21st July. Great gig though and good memories.